Robert Bickers is without doubt the foremost historian currently working on the history of China's treaty ports. This book is very much a 'grand narrative' within that frame, and its balanced approach is perhaps best summed up in the jacket blurb that this was a clash of "two equally arrogant and scornful cultures." The history which Prof. Bickers narrates and reflects upon goes well beyond the subtitle's cut-off year of 1914, as he discusses the contemporary relevance of much that happened within China's "century of national humiliation" which is still very much of relevance today. Bickers' essential argument is that the way this history is currently being read is of more contemporary importance to China than it is to the West, something which we could do well to redress in our own reflections on the 'here and now' of such shared history in terms of its influence on the present, and potentially the future too. 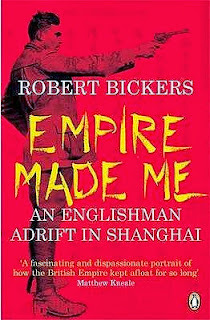 Empire Made Me: An Englishman Adrift in Shanghai (Penguin, 2009) was a tour de force in demonstrating how 'micro-history' can be employed to illuminate a bigger picture, however, The Scramble for China in some respects feels somewhat like looking down the opposite end of the same telescope. Given that this is such a broad canvas, for all the personal nuances of individual stories which Prof. Bickers manages to weave into his narrative, in some places it requires a rather broad brush to make certain necessary narrative leaps where we might otherwise wish the author had space to go into more detail (eg - Taipings; Boxers, May 4th, etc). 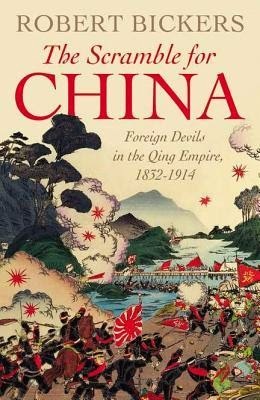 That said though, it is still an excellently crafted overview of the period of 'informal empire', told with Bickers' characteristically assured boldness and wit, which makes it an entertaining, as well as a thought-provoking and profitable read for anyone interested in Western Imperialism and modern (pre-Mao) China. This is an absolutely excellent book! It covers a vast period and very capably examines many diverse historiographical themes in a relatively slim volume. It's written with exceptional clarity, and is even quite pacy in parts. It provided a good overview of certain events, and provided a clear and balanced discussion of its main 'revisionist' points, with a great bibliography for delving further into areas of specific interest. I used it mainly for an MA essay on the rise and fall of the Qing, however, I'm more familiar with the transitional era around the end of the Qing Dynasty and so was surprised to find no mention of the May 4th movement, nor Yuan Shikai's failed attempt to establish himself as Emperor in the final chapter which looks at the revolution and the early Republican era (perhaps very minor and largely inconsequential quibbles given that the book is meant to be a general history of the Qing). It is certainly a work which I know I shall return to for reference for quite some time to come, and one which I would without hesitation highly recommend. Reading this book I couldn't help but think of the Rudyard Kipling line: "East is East and West is West ..."
This is a very ambitious book which seeks to show how in many senses the Opium Wars were an event of epochal change, in many ways these wars are the root of all that China has become in the modern era; this is essentially the story of how China has struggled as much with itself as with the outside world. Lovell shows how the confrontation between the Chinese empire and the forces of Western imperialism (lead foremost by the British) in the 19th & 20th centuries is something which the Chinese have never forgotten and how these wars are something which the West would do well to remember when attempting to interact with China today. As Rana Mitter has succinctly summed up: "This book serves a crucial purpose in reminding Britain of a shameful episode in its past that still shapes relations with China today. But official China could also learn from it that reconciliation with the past comes by understanding its complexities, rather than turning it into a simple morality tale." 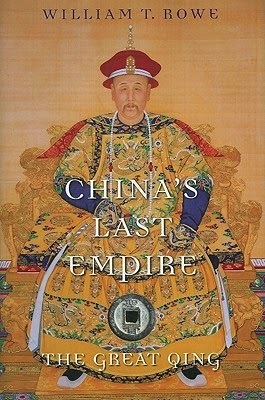 Whilst the first two thirds of the book are a straight narrative of the military and diplomatic history of the Opium Wars, the last few chapters examine a wide range of themes which could be bracketed together as the long-lived aftermath or continuing afterlife of these conflicts - from the rise of the external racism which can be summed up in the Western notion of the 'Yellow Peril' to the seemingly self-contradictory confusion and fanaticism of perceived threats both external and internal wrought by the rise (and often state-sponsored manipulation) of Chinese nationalism, which has been a knife edge act both for those in power and those whom the Chinese state governs, as well as how these issues have been received and interpreted within and beyond China's modern borders. 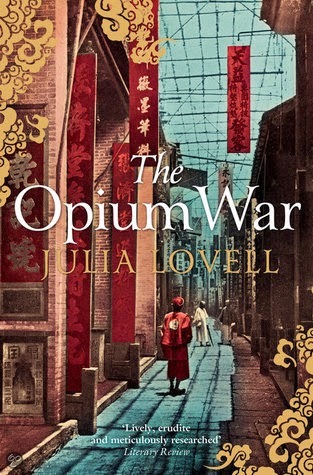 Julia Lovell paints a complex portrait of China in the modern era. One which explores the myths and caricatures of the Chinese in Western eyes as well as the assumptions made by the Chinese about the world beyond their own cultural sphere. She shows how the contradictions of China's attempts to embrace as much as isolate itself from the influences of the modern world system wrought by Western imperialist expansion still pervade the collective social psyche of the Chinese nation - it's tempting to take a very cynical view of such state-sponsored manipulation which arguably goads its citizens to throw stones at foreign embassies in protest at perceived slights and infringements of sovereignty or want of apologies for historical wrongs whilst simultaneously embracing foreign goods and aspiring to study abroad in Western institutions; yet ultimately such a book can only offer the author's own subjective views and experiences - as Lovell certainly does in the last chapter which takes a very personal tone, recounting her interviews with modern journalists, teachers, students and 'angry young men' as representative examples of modern China's deep/superficial self-contradictions. But ultimately one can't help wondering what the future outcome will be of this continuing muddle. I've been to China on many occasions and had many interesting conversations with Chinese friends as well as people I've bumped into in the street or while visiting historical sites, and I'd have to say I've not yet made up my own mind about my own subjective view. As such, this very excellent book has provided me with food for thought, rather than answering what questions I might have on these topics. In that sense (as the book's subtitle suggests) this book is more than a mere history, it's an attempt to place a remarkably detailed history into the context of the present - and as such, for me at any rate, the book ends with a rather doleful, unresolved outlook which seems to re-enforce the old adage, borrowed from Kipling, that: "East is East and West is West, and never the twain shall [truly] meet." I first came across Grounds of Judgement soon after it was published, and reading the opening sections of the book it was immediately apparent that this is a highly significant and important work. As a "nuts and bolts" study of how systems of extraterritoriality in China and Japan came into existence, how these systems functioned, and how they eventually came to an end, this book gives a highly creditable, lucid and engaging account. In this sense it was exactly what I'd been looking for in seeking to get a better understanding of the day-to-day workings of how extraterritoriality was understood and how it operated; and the reason for this is largely based on the author's excellent use of a diverse array of hitherto untapped sources. Indeed, Cassel argues that to date the historical view of extraterritoriality in this region has been skewed towards a bilateral, Western bias which has been unduly emphasised by an over-reliance upon predominantly Western language source material. Cassel's study seeks to rectify this anomaly by taking a more nuanced transnational and transhistorical approach - in so doing he doesn't simply examine the cases of a) 'China and the West', and b) 'Japan and the West', concluding his study with c) a straightforward comparison of the two; he also examines the far more fascinating case of the interactions between 'China and Japan' as well, thereby managing to explore and illuminate multiple angles and reflections which have hitherto remained largely overlooked by other historians. 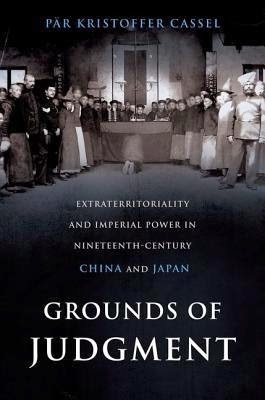 Cassel examines not only the different ways in which China and Japan responded to and accommodated extraterritoriality, he also shows the differing ways in which they each used extraterritoriality in conjunction with their burgeoning acceptance, understanding, and interpretations of international law. Rather than simplifying extraterritoriality to a straight two-way process he argues that the reality was much more about a fluid, pluralistic, triangular system of interpretations and interactions. The cases Cassel uses to illustrate his argument are interesting not least because of the differing handlings of extraterritoriality by China and Japan - for instance, how Japan not only managed to throw off extraterritoriality much sooner than China, but how Japan even moved very swiftly to exert its own extraterritoriality upon China having formerly been an acknowledged "tributary state" of the Chinese Empire. Cassel completes his study by showing how the legacies of such differing encounters with Western imposed extraterritoriality continue to affect international relations in the modern era, not least in the prickly way China currently views and interprets what it deems to be 'Western interference' in its sovereign internal affairs (e.g. - with regard to on-going criticisms of, and international pressure exerted in relation to, China's human rights record), but also, in the case of Japan, the perceived 'extraterritorial immunities' which are seemingly afforded to US Military personnel who, in accord with diplomatic agreements made following the US occupation of Japan after the Second World War, still maintain a presence on what is internationally recognised sovereign Japanese territory. Grounds of Judgement is a rare and significant scholarly study which offers new angles and new insights. It is a highly accessible book which adds a new dimension to the historiography of Imperialism and extraterritoriality; and also to the comparative histories of the legal systems of Asia and the West, as well the processes of modernity which were seeded in the era of Western imperial expansion that has ultimately culminated in today's globalised system of nation states and the shared system of international law. This book is an absolute "must read" for any serious historian of the subject or the region. To hear an interview with Par Cassel discussing his book, Grounds of Judgement, on the 'East Asian Studies' website - click here.